Is there such thing as free family health insurance? 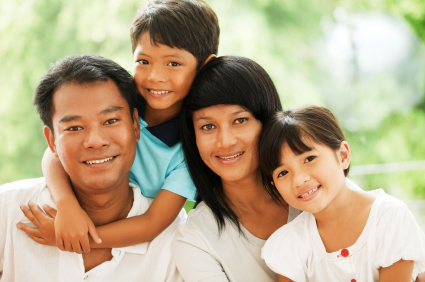 Home / FAQ / Is there such thing as free family health insurance? Have you heard the adage that says, “There’s no such thing as a free lunch”? The age-old wisdom of that adage essentially says there’s no such thing as “free” anything – someone must pay, somewhere along the line. That is true in every area of life including health insurance. Anyone who has health insurance for his or her family is spending money on it; even if it’s not their own. Search online for health insurance rates by taking advantage of our search tool – just enter your zip code in the box below. Whether we like it or not, medical care costs money, everything from the receptionist in the waiting room to the most complex and sophisticated treatments. We might think it would be nice for medical care to be truly free but it’s just not possible. The cost of medicine and equipment aside, the individuals who work in doctor’s offices, hospitals, medical clinics, and research institutions all need to be paid. They have families to feed and mortgages to meet just like you and I. When people talk about “free” medical insurance for a family they are most often referring to government programs like Medicaid. According to the Department of Health and Human Services, Medicaid is a health insurance program for U.S. citizens and legal residents who qualify as low-income according to federal standards. If your income is low enough, you won’t pay anything at all for this health insurance, otherwise you may be asked to pay small co-pay for services rendered or a small monthly premium. The problem with Medicaid in terms of the idea of “free medical insurance” is the fact that someone still pays for it. The largest percentage of the financial burden for Medicaid falls on the individual states, like New York and California, who are required by federal law to administer the program. That means your state raises your taxes to pay for Medicaid bills for someone else who cannot afford insurance. So, is there any such thing as free family health insurance? It may be free to the Medicaid recipient, but it’s not free to the taxpayers. Healthcare co-ops exist around the country as a means of allowing interested participants to pool their resources in order to provide corporately for healthcare costs. Under this system, an individual who requires medical care would pay submit the bill to the group for payment. In an ideal situation, the various members of the group who have the financial resources contribute what they can afford to a general fund, which then pays the bill. You may be tempted to think that the health care co-op constitutes a free health insurance for your family, because no one is required to contribute any specific amounts to the co-op. While that may be correct in principle, it does not work practically speaking. If no one contributed to the fund, the co-op would cease to exist. The fact remains, someone has to pay for your healthcare, one way, or the other. Even if something is free to you, it is costly to someone else. The Canadian health insurance system is free, isn’t it? Those who promote national healthcare as providing free health insurance to families have long touted the Canadian and British healthcare systems. Again, not to beat a dead horse, but someone ultimately pays for the insurance and care provided by those systems. In both cases, it is ultimately paid by the tax dollars of those nation’s citizens. With every paycheck, a specific portion is deducted to pay for state medical system; the only ones not paying are those who do not work. The biggest financial danger of a system like this is that ultimately drives up costs. When people view government as an endless supply of money, they will seek medical treatment for even the most minor discomforts. Furthermore, hospitals and equipment providers will also raise their prices to take advantage of a government willing to pay anything. Finally, the government itself must put in place an entire infrastructure to manage the health care system, which adds even more individuals to the payroll. In essence, “free” healthcare costs a lot more in the long run than non-free healthcare. At the end of the day, there is no such thing as free health insurance for your family. One way or the other, the bill has to be paid by someone. If you are one of the fortunate Americans to have health insurance through your employer, you’re in the best situation currently possible. If you are among the millions of Americans without health insurance, you’ll have to pay for your medical care out-of-pocket or access to government programs. Enter your zip code below to see multiple health insurance quotes available to you.